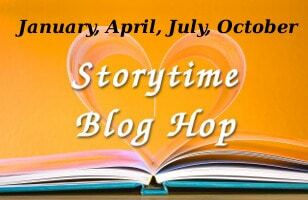 A while back, I wrote a story for a blog hop. The story was about a group of people who lived their entire lives in a mine, and the one thing of beauty in their world. The beautiful thing–it’s a glass peacock–breaks, and the people who had idolized it… die. And the whole thing is told from the POV of an official from the company who owns the mine. The company that owns–if not actual slaves–a mine where the workers and their families never build lives separate from the mine. The official comes from a much wealthier segment of society than the miners, and is there to investigate the peacock, and whether its presence is financially acceptable to the company. I thought all of that was clear in the story. So, I posted the story, and got some feedback. Mostly from writers. All of it from very intelligent, if-they-didn’t-catch-it-it’s-probably-me type people. NONE of the comments questioned whether the story really happened. NONE of them said anything about whether the person who was worried that a glass peacock was taking up too much space should really be allowed to testify for or against a rescue effort. So, I’m looking at the piece again, and wondering if the reason no one questioned it is something missing in the piece, itself. Now, I know that some of this is glass-half-full/glass-half-empty, and that some of it is stylistic. I’m still working on pinpointing the line between too vague and spelling out too much. Tell me what you think. How loudly do you announce that your unreliable narrator isn’t to be trusted? Wow, that is a deep question. I thought the story well done. Didn’t think to ask that question, so guess as a reader it was obvious without you pointing it out. Maybe that is a trust your reader thing? Cause if you hit me over the head too hard the story might not have intrigued enough to keep reading? Subtle I think is the best approach and trust your reader to get it. That’s an interesting question. My first reaction is to say not at all. That way the reader is fooled until the twist. But there has to be some hint. Really, I think you’re too hard on yourself. Wow, I’ve never used an unreliable narrator, so I wouldn’t be much help. Maybe no one questioning it is all right? Don’t be so hard on yourself, it was a good story and I’d love to see what else you do with it. I honestly can’t remember if I picked that up from it, but I do know that in my own work whenever I try to be subtle I usually fail miserably and I’ve finally come to the realisation that I need to spell these things out more. Thanks for the encouragement. I certainly need it right now. I just started ISWG this month, so there’s no reason you should have known. It’s a part of my get-out-there-whether-you-like-it-or-not thing, right now. Thanks for the info. I’m headed over there, right now. 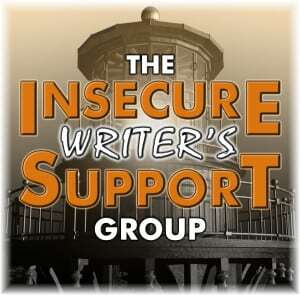 Your question is deep and I think you have to decided how strong or weak your narrator is. If people who read the story are not getting your point maybe you should examine the entire story once more. As for me, I don’t want to have a weak narrator. Not only my readers get confused and miss the point, but it also confuses me. All the best with whatever you come up with that suits you. How loudly do you announce that your unreliable narrator isn’t to be trusted? As loudly as that character would. Some people are obvious liars; others just bend the world a little here and there. As to your miners-and-peacock story, I find I like it best when I take it at face value (besides, it’s fiction; it’s unreliable by definition). I am more interested in a world where people can be literally sustained by an idol than in any speculation about whether the supervisor dealt with the situation by killing them, or whatever darker interpretation of events. The ambiguity there comes from the narrator’s essential lack of reaction-or-change-of-perception at the end.